When the quarterly earnings of a company are released, investors use a guidance number to judge their performance. If the earning is more than the guidance, then the result is considered to be above expectation. Earnings season is the eriod when companies generate their quarterly results. 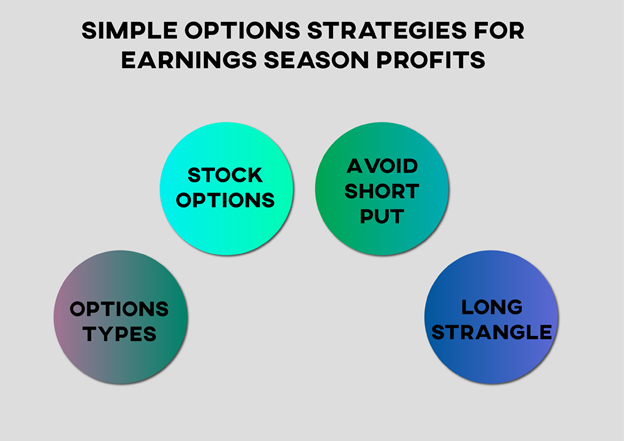 Many options traders deal in these earning seasons to make huge profits. When the quarterly earnings of a company are released, investors use a guidance number to judge their performance. If the earning is more than the guidance, then the result is considered to be above expectation. On the other hand, if the company performed very well and gained a lot of revenue, but it misses the guidance number, then it is considered to have missed the target. Stock market trends predict price-based on this guidance number. This volatility is used by options trader to earn huge profits. Goldman Sachs has used an options strategy to buy a call option five days before the earnings period. This approach helps them earn 14% in profit and 16 percentage with liquid option stock. Philip and Netflix have also registered call options profit of 793% and 538%, respectively. A company’s quarterly period is a highly unstable time as well as an excellent opportunity to earn enormous profits via using the right options strategy. Below are simple strategies for massive earnings season profits and few which are not to be used. Stock options: Stock selection is the most important and fundamental thing which should be taken care of. It is continually suggested to look at stock volatility in the last few earnings sessions and relative price movements. Analyze the one-day movement on price and compare it with the current price. If the price is significantly lower than the average price, then there is less chance of volatility in the market. Avoid short put: It is constantly advisable to avoid short options during earnings season as they give negative returns most of the time. Long options are way more profitable during earnings period, especially long straddle. Options types: Long straddle is buying a call and buying a put at the same time. It helps in making profits if the stock price moves either way. Earnings can result in either an increase or decrease in price, hence, long straddle should be taken at money value. For example: Suppose a stock price of ABC is Rs50 and I buy a call of Rs2.5 and put of Rs2.5. Moreover, lock it for earnings period date. Now, total amount at risk is Rs5. I will make a profit only if the price of stock ABC moves above Rs55 or falls below Rs45. More the deviation on either side, more is the profit. The only disadvantage of this method is when the stock price remains constant. Long strangle: Long strangle is same as that of a long straddle. The only difference between both is that call and put are bought at different prices. For example, consider the stock price for company ABC as Rs50. So I purchase a call for Rs2.5 and a put for Rs1.5. Other things will work in similar ways, only thing is that here I would be minimizing my risk to Rs4.